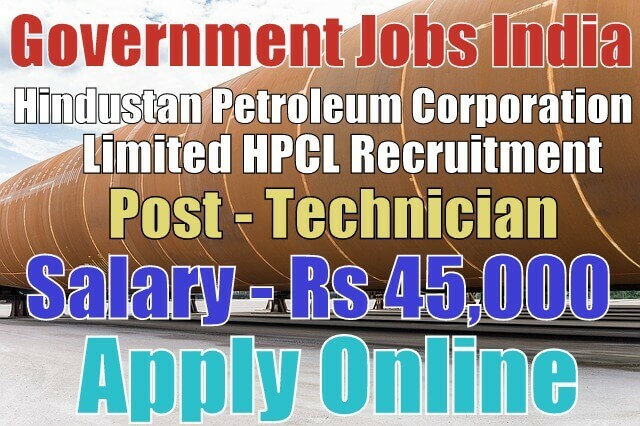 Hindustan Petroleum Corporation Limited HPCL recruitment 2017-18 notification for 76 assistant process technician and assistant boiler technician posts. All legible and interested candidates can apply on or before (22-06-2017). Further information about the Hindustan Petroleum Corporation Limited jobs and exams, vacancies, salary details, online form, application fee, HPCL careers educational qualifications, experience and all other details/information about this post is mentioned in details below. The total number of vacancies are 76. 2. Assistant Boiler Technician - 09. Salary/Pay and Grade Pay - For assistant process and assistant boiler technician post, the payable salary will be Rs 45,000. Further information about salary details is mentioned in the detailed advertisement.